Abstract: Recently, Airwheel has launched a brand new product—H8. The basic information of H8 can be learnt from http://www.airwheel.net/home/product/h8 and this time, we are going to dig more background info and it will present in question-answer form. Q: With the interval of a few months since the release of H3S, why does H8 is launched so quickly? A: Airwheel learns the demands and trends from ridders and market. Since the release of H3S, we have done extensive collection for the user experience both in online communities and offline activities. Through data analysis, it is found that the majority riders are satisfied with the dual-ride modes. 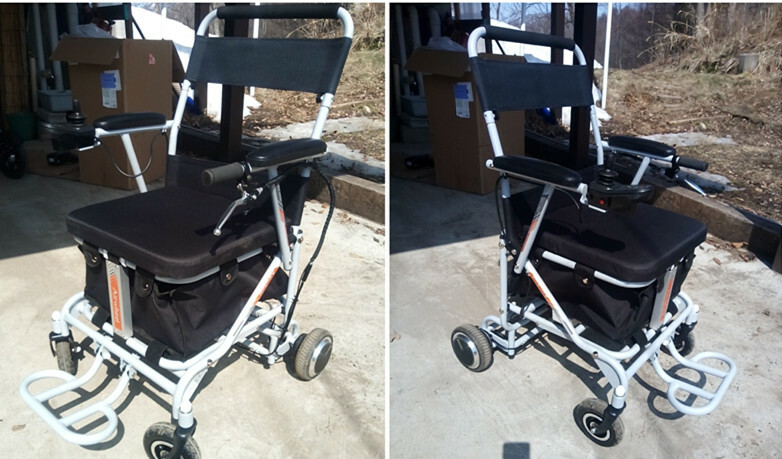 Meanwhile, riders have other needs and then Airwheel H8 electric wheelchair was born. Q: What is the most important element in the development phrase of H8? A: Of course, it's safety, the most important element in the whole process. Through extensive market investigation, it is found the majority are worried about the safety both for riders and also for their relatives. It will become reliable and trust-worthy when the safety and high quality are ensured. H8 ensures the riders' safety from two aspects. On the one hand, it refers to the safety protection during ride. On the other hand, it is the quality of the product. Airwheel H8 has installed dual brakes and dual warnings during ride. Fast hand brake and the electronic brake button guarantee riders' safety. To turn directions or to reverse, H8 power and manual wheelchair will give you alert if there are obstacles to ensure the safety of rider and others. Also, the mobile app further guarantees the safety by learning the real-time data and fault-diagnose. For the quality, H8 is constantly strict with every link, from the material selecting to production. Adopting lighter and higher strength than ordinary material, its maximum load can reach 130kg. The lengthened distance of axle base and wheel base not only increases space to ensure a comfortable riding, but also makes riding smoother and safer. Q: Does the market orientation of Airwheel H8 is the old? A：It does not limit to the old people. Anyone who feel tired easily, are with mobility problem and are willing to try new things are the potential riders of H8 power chair.